Nestled almost exactly at the midpoint of where the Pyrénées mark the border between France and Spain lies the charming little village of Saint Béat. Its pretty stone houses line the banks of the River Garonne as it tumbles its way down from its source in the mountains. 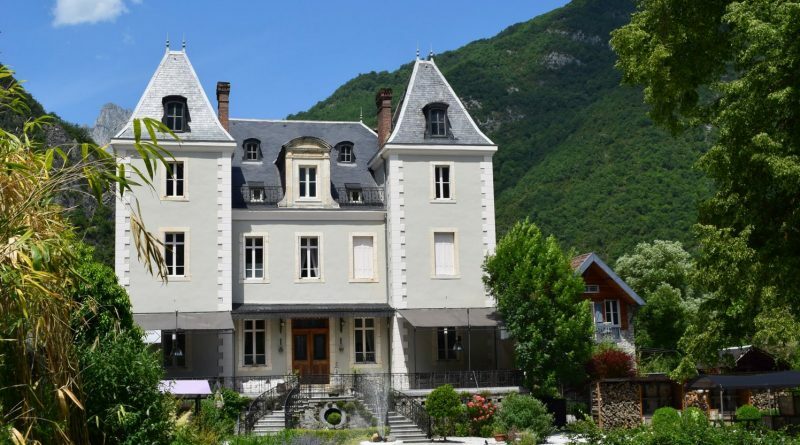 Just outside the village and just 7 kms from the Spanish border – almost it seems at the foot of the Pic du Gar a well known Pyrénean mountain – Arne and Yvette de Goffau have created a wonderful chambres d’hôte in their beautiful Château Serre Barbier. South facing, the château sits in an elevated position in its two acres of grounds and is bathed in sunshine year-round, a boon in snowy winter months. 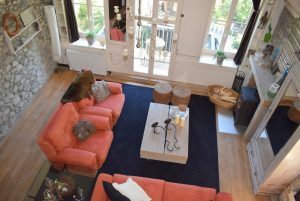 The river Garonne actually flows through part of the property and the de Goffaus have created lovely outside spaces including, naturally, a swimming pool for the long, hot summers. However Yvette says the château’s appeal is year-round for visitors: “we are very close to several ski resorts and in the summer there’s hiking, climbing, canoeing and all sorts of outdoor pursuits.” And then there is the cycling – the Tour de France has passed right by the château and in 2018 Dutch TV actually broadcast from their grounds! 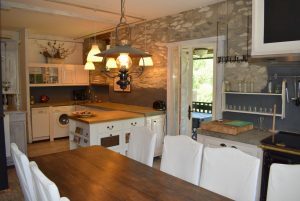 The château itself is now a busy, successful B&B and chambre d’hôte: “our visitors like the space and style as we made bedroom apartments – we furnished it with period pieces (Chateau Serre Barbier is being sold complete with all furnishings) though of course the beds, linen and bathrooms are all new!” In addition there is a separate gîte and other outbuildings while the family have their own separate three bedroom home. 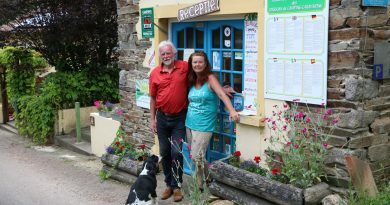 Currently they offer bed and breakfast with evening meals four nights a week. “We even put in a professional kitchen so the château’s next owners could easily expand the business and create a restaurant – it’s the perfect place to do it as we are right beside the route d’Espagne – just a few minutes’ from the Spanish border on a very good road.” In fact, she says you could drive from here to Barcelona in under five hours passing through lovely countryside while Toulouse (where their son went to university) is less than an hour and a half in the other direction. 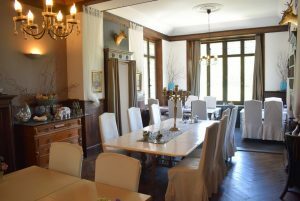 But now they have decided it is time to look for a new adventure and the Château Serre Barbier is currently on the market through Leggett Immobilier. Find out more about this property here.